3. You never need to Activate the approach! As long as you proceed direct to one of the fixes on the approach OR intercept a leg of the approach as described above, the box will sequence correctly. Note that this is not the same as selecting APR on an autopilot - totally different discussion. I can’t tell you how many times I’ve seen someone setup perfectly for an approach, only to suddenly decide that they need to activate the approach. Guess what happens? The airplane makes a hard turn back toward the IAF. EDIT: PLEASE NOTE THE SOFTWARE VERSION YOU HAVE!! I just realized that I may steered some people wrong. Everything I said is still correct for a GNS (430/530 etc.) but may not be for a GTN. It depends on what software you have. The biggest functional change in regards to this discussion is what happens when you load Vectors to Final. 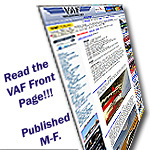 Old software (v5.13 and earlier): When you load VTF, you lose every fix outside the FAF. So if you have selected VTF and subsequently get a clearance to go direct to one of those prior fixes, you need to reload the approach with the appropriate IAF. Newer software (v6.00 and later): You CAN load Vectors to Final without worry. They changed the function so that when you load VTF, you keep all the fixes, and the box automatically activates the leg to the FAF - exactly what we want more often than not. Apologies for any confusion. Just make sure you know what version you have. .... So now I tend to not activate vectors to final, but always use the activate leg from the FAF. I can then easily go back to FP and go direct to the IAF. In my experience, this is the best way to manage an approach. By loading the appropriate IAF and then activating the leg to the FAF, you’ve essentially done the same as activating vectors to final, only now you’ll always have what you need should ATC throw you a curve ball and send you to a fix (or leg) prior to the FAF. NOTE: If you have v6.00 or later, activating Vectors to Final will do exactly this and will keep your fixes prior to the FAF. What often happens is that you’re expecting a vector to intercept final just outside the FAF, but instead they put you in an intercept that’s one fix further out. No problem - simply go to the flight plan, select the next-further fix and activate that leg. The box will sequence correctly and you’re good to go. .... I never realized that I didn't have to activate something. Next time I will try just loading the appr and fly to whatever they tell me. Obviously that is for hand flying, but I tend to fly all my approaches (when IMC) by hand for practice. Maybe I misunderstood the comment, but hand flying or coupled is irrelevant. The GPS has no idea if the data it’s sending out is being used by you for raw data or to fly an A/P coupled approach. The box setup and sequencing is the same in either case. Last edited by Cannon : 10-10-2018 at 09:27 AM. You are correct. Prior to them updating to v6.00, all the GTN/GNS boxes used similar logic - any approach would simply be stapled to the end of the flight plan. This required one of two things to happen: Either you had to go direct to a fix on the approach or setup an intercept to a leg of the approach. From v6.00, the destination airport was removed when you loaded an approach. The logic being that in the real world we never flew to the airport and back out to the IAF, so why load the box that way. This caused other issues, however. There are a lot of things you can get access to quickly by touching the destination airport on the flight plan (weather, freqs, other airport info, etc.). With the dest airport no longer ‘touchable’, getting that info was more cumbersome, so I believe that’s why they changed back to the old logic with v6.50. I guess that does make sense for pilots with no G3X, but who would want to fly without one?~ I prefer the previous logic and to pick up Wx, Freqs, etc. on the EFIS where there's a lot more real estate, I have the GTN 650. Could be because I've flown behind a G3X 1,000+ hrs, but I find its UI more intuitive than the GTN, like the difference between a Mac and a PC. The G3X can't do procedures, that's why there's the GTN. The GTN is pretty darn powerful for Departures, Approaches (incl. procedure turns and missed approaches,) and Holds, for everything else I use the G3X.